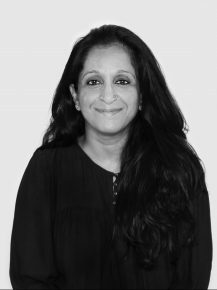 Having studied Commercial Art and then moving onto Masters in Management, Shaifali is currently leading the role of Regional Business and Strategy Director for Dirt is Good SEAA (Unilever) and Dulux. She has been with the MullenLowe team since 2006. Shaifali comes with over 15 years of experience across brands like Dettol, Stayfree, MasterCard, Dirt is Good (Unilever), Dulux, LOreal, Maybelline, CocaCola, Fair & Lovely (Unilever), Clear Shampoo (Unilever), Lifebuoy Shampoo (Unilever). Her experience in creating work for developed and developing markets makes her adept at a cultural understanding of different geographies. Outside of work, she likes to read, write and watch all things insignificant and significant.